Hozier has a new album coming out - and we’re ready. The Irish singer-songwriter established himself in a big way with “Take Me to Church” from his self-titled debut album, topping the carts in 12 countries and reaching the top 10 in 21 others. The smash hit fueled a Song of the Year Grammy nomination (and performance) a massive international following, and three years of touring. 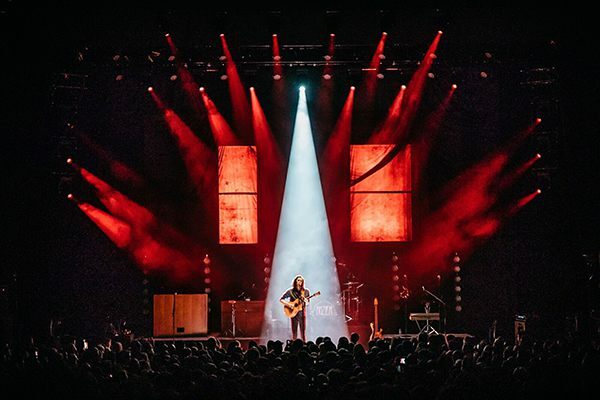 After over a year in the studio, Andrew Hozier – Byrne is ready to “empty his pockets” and share the songs that make up his long awaited second album. “Wasteland, Baby!” will be released March 1st and a 52 date (and counting) tour to follow starting March 10th in Buffalo, NY. See tour dates here. 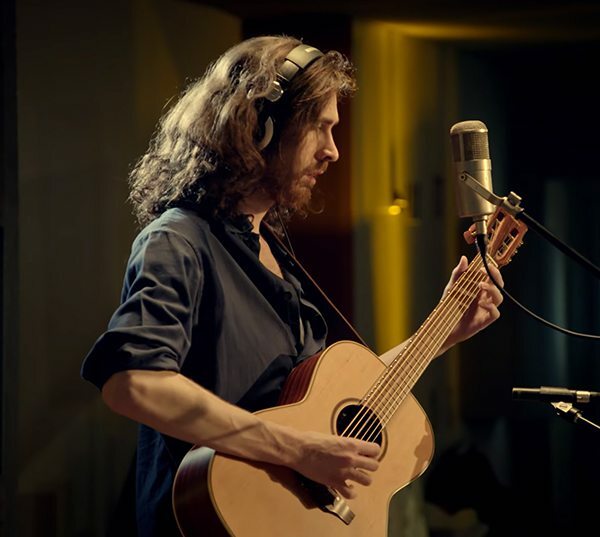 Hozier chose the Takamine P3NY cedar top satin finish New Yorker to be his go-to acoustic for studio and stage over 5 years ago and it has served him well. We could try to explain all the whys and hows…or we could just show you. Here are two recent Hozier performances - both live – both featuring the P3NY. The moody and haunting “NFWMB” features Hozier with his Tak in a somewhat typical live setting – outdoors and plugged in. As always, Andrew’s perfectly understated playing carries the arrangement top to bottom…and In spite of what your ears may tell you, there is no mic on the P3NY. Conversely, this flawless live performance of Shrike , also from the new album, takes place from inside Dublin’s, Windmill Lane Studios where the desired acoustic tone was achieved by allowing the parlor sized Tak to sing directly into a mic - and blending with the line out from the Tak CT4BII and Palathetic pickup. The right tool in the hands of a genius… is a beautiful thing.